It is surprising how the Italian football club Juventus has been able to rope in so many top-quality professional football players and has been charged nothing of it - it seems like art the club has mastered! 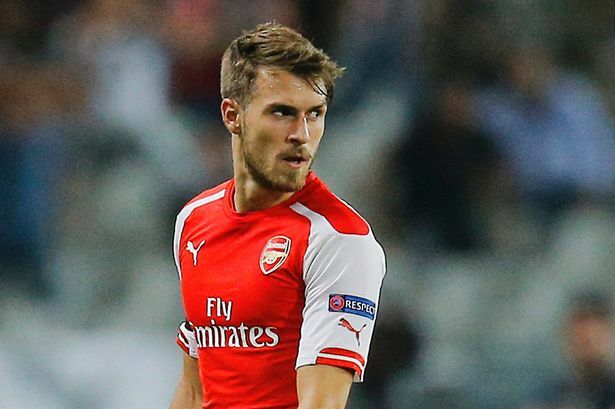 Very recently news came out that the Arsenal midfielder Aaron Ramsey will be joining Juventus in the summer and it will be a free transfer. When you also consider that, in 2012, the Italian Club was able to sign eminent players like Paul Pogba (who played for Manchester United) for nothing too, as well as players like Dani Alves and Fabio Cannavaro, you can see the pattern emerge. As well as picking up freebies, the club has obviosuly also invested in some of the best players in the world - most notably when Cristiano Ronaldo joined Juventus back in the 2018 summer at an eye-watering cost of £100 million. Juventus have clearly invested wisely, and look on course to take a record 8th Serie A title in a row, and seem like real contenders for the Champions League. Scouring the odds on the best betting sites in UK, you can see that only Barcelona are fancied for the Champions League title more than them - even though they drew Atletico Madrid in the first of the knock-out rounds. Whilst Juventus were able to grab such great opportunities, it should be noted that still had to compensate Manchester United to the tune of £800,000 for Pogba - but when you contrast that to the amount they sold him back to Manchester United for just 3 years later, you can see why this would be written off as pocket change. On the field, Paul Pogba came out as an amazing class-apart player, and Juve sold him back to United for a world record - £89 million. In another case, where Juventus signed Andrea Pirlo on a free transfer from rival team AC Milan in 2011, little did they know that he would emerge as the Player of the Year in so many consecutive games in 2012, 2013, and, 2014. Juventus always say that Andrea’s addition to the team was nothing less than magic and it literally felt like God exists. The addition of Pirlo and Pogba helped in maintaining a balance of power within the team and Italian football. After all these successful experiences, Juventus seems to be optimistic about Aaron Ramsey joining the team and we all can’t wait to see the magic unfold.